Camping holidays in Europe have never been this relaxing. Discover the breathtaking Huttopia destinations and nature villages of Huttopia France. Spend some well-deserved quality time with your family in the glamorous Huttopia tents. 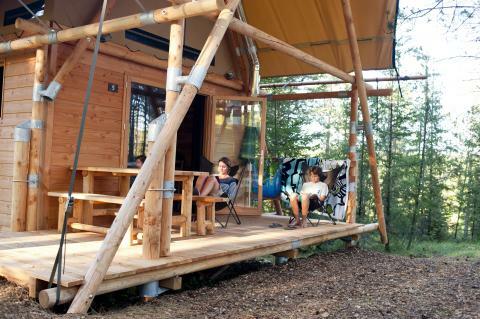 If you have always wanted to experience glamping in Europe, then the Huttopia camping chain gives you excellent choices for glamping in France. The lodges and tents are very well equipped and allow you to completely relax as well as stay entertained. If you are looking to recharge your batteries, the Huttopia campsites and villages are the place to be! 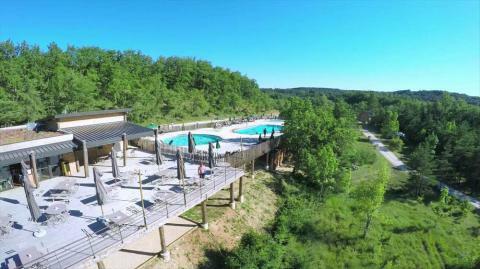 From Huttopia Lanmary Périgord to Dieulefit, Huttopia destinations make for unforgettable holidays. 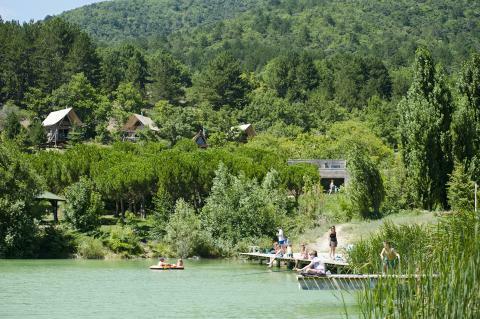 We offer deals and last minute offers camping holidays in France for four Huttopia Villages. If you are searching for a suitable travel destinations for you and your loved ones, then Huttopia is the perfect place to be! 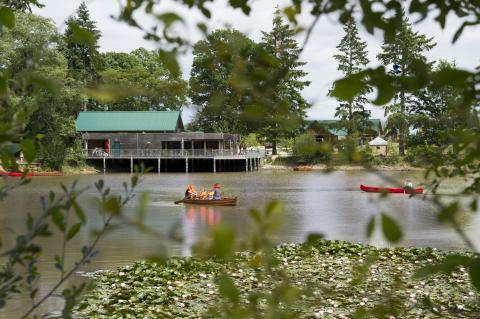 Some of the Huttopia Villages offer various swimming facilities while accommodations range from 2-person tents to 6-person cottages. All Huttopia tents are furnished with real beds, making your stay in one of the accommodations relaxing throughout. Make your pick from the beautiful Huttopia destinations that are perfect for a comfortable and unforgettable camping holiday in Europe. From Huttopia Lanmary Périgord to Dieulefit, Huttopia France is perfect for nature lovers who still want to enjoy some glamorous camping. Experience a fanatstic family holiday in the middle of nature.